NBCUniversal Television Group is an American and global television production/distribution company and a subsidiary of NBCUniversal. The company is composed of six divisions: Universal Television , NBC Universal Television Stations, NBCUniversal Television Distribution, NBCUniversal International Television, Peacock Productions, and the recently-established Universal Cable Productions. The company was previously known as Revue Studios, NBC Studios, Universal Television, and MCA TV. 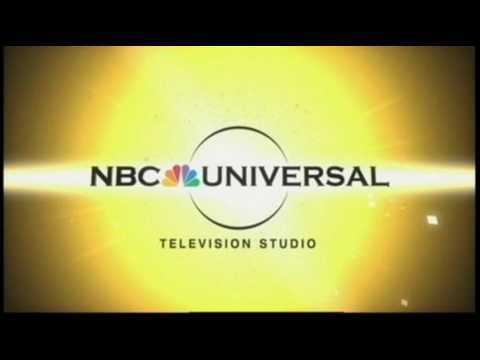 The name was changed to NBC Universal Television on May 12, 2004 from the merger of NBC's production/distribution arm and Universal's television division to reflect the NBC Universal brand. The previous name took syndication until September 20, 2004, which was also the date launch of the NBC Uni TV Distribution logo, even though the copyright to the NBC Universal TV shows are now credited to either NBC Studios, Inc., NBC Enterprises, Inc., Universal Network Television LLC, Universal Talk TV Productions, LLC, or otherwise NBC Universal, Inc. (all NBC Universal TV's alternate monikers). On June 14, 2007, NBC Universal announced that NBC Universal Television Studio would be renamed, effective immediately, to Universal Media Studios. The parent company, NBC Universal, explained that the reason for the name change of NBC Universal Television was because "the new name fully describes the company's mission to be the premier content provider for television and digital platforms, spanning all television dayparts and creative genres." On September 12, 2011, NBCUniversal announced they will rename Universal Media Studios back to Universal Television. DVD releases for most shows owned by the group are handled by Universal Studios Home Entertainment, while others are licensed to other companies such as Lionsgate Home Entertainment, Arts Alliance America and Shout! Factory. Whole or part of the information contained in this card come from the Wikipedia article "NBCUniversal Television Group", licensed under CC-BY-SA full list of contributors here.